As an intrepid traveler, I’m always looking for new places to explore. Occasionally, I return to special destinations for a second time. 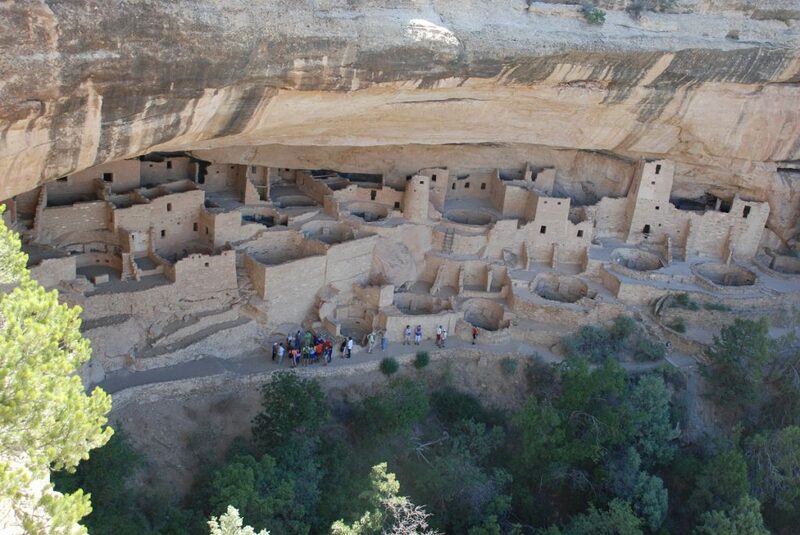 Decades ago, my husband and I visited Mesa Verde National Park with our four young sons. 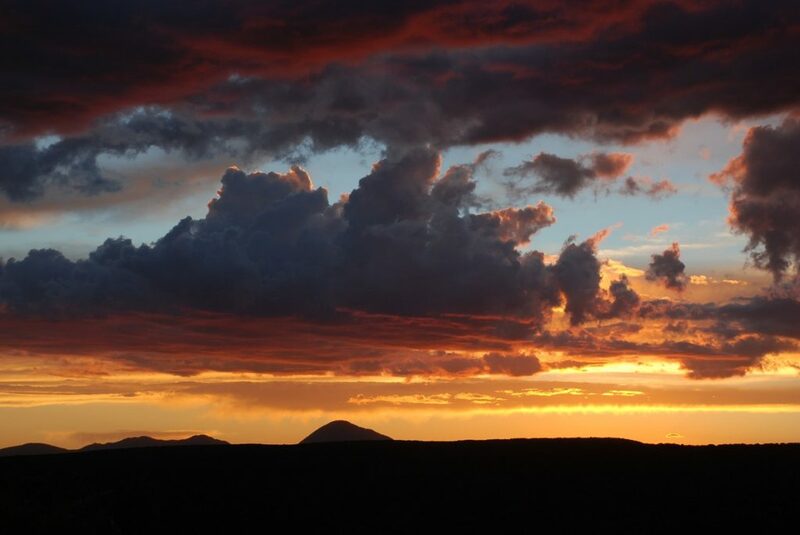 This experience exposed our children to the beauty of the Four Corners region and the mysteries associated with the Ancestral Pueblo people formerly referred to as the Anasazi. Our sons were so impressed by the cliff dwellings and the tribe’s mysterious disappearance that we ended up staying a half day longer than anticipated. 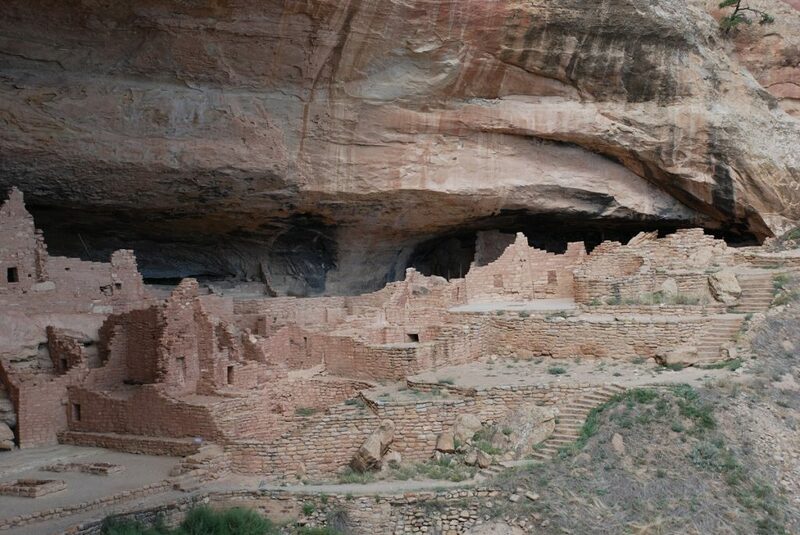 Without kids in tow, my husband and I returned to Mesa Verde last August. After previously staying in an adjacent town, we opted to reserve a room at the only lodging inside the park, the Far View Lodge. We were able to maximize our time at the enormous park and avoid the inconvenience of driving long distances to and from our accommodations. 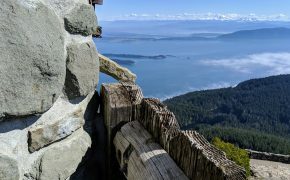 Our quiet room’s small balcony offered spectacular daytime views of the surrounding mountainous terrain, sunsets at dusk, and stargazing in the evening. As we drove through the park, I noticed the remnants of previous forest fires that were mostly caused by lighting strikes. Signage indicated the years. The blackened trees showed the damage. The Piñon and juniper woodlands that are accustomed to minimal rainfall in their high-elevation desert ecosystem easily succumbed to the devastating fires, and take hundreds of years to return to maturity. Surprisingly, more than 50 percent of the park has been affected by wildfires since our family last visited in the 1990s. 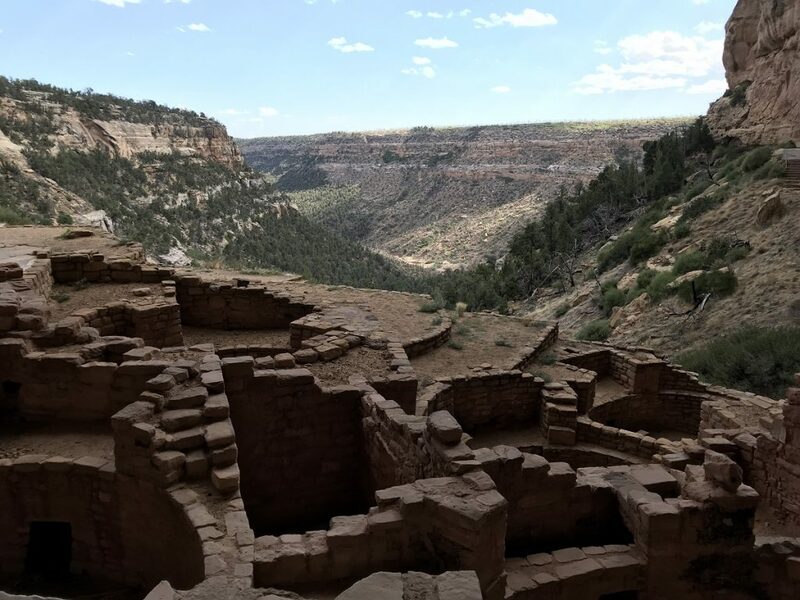 While the amount of damage is notable, there’s plenty to learn about the 700 years of Ancestral Pueblo history, and there are wonderful trails to explore. Whenever I see the aftereffects of wildfires, I become more appreciative of the world’s natural resources. I see how quickly flora and fauna can be destroyed. 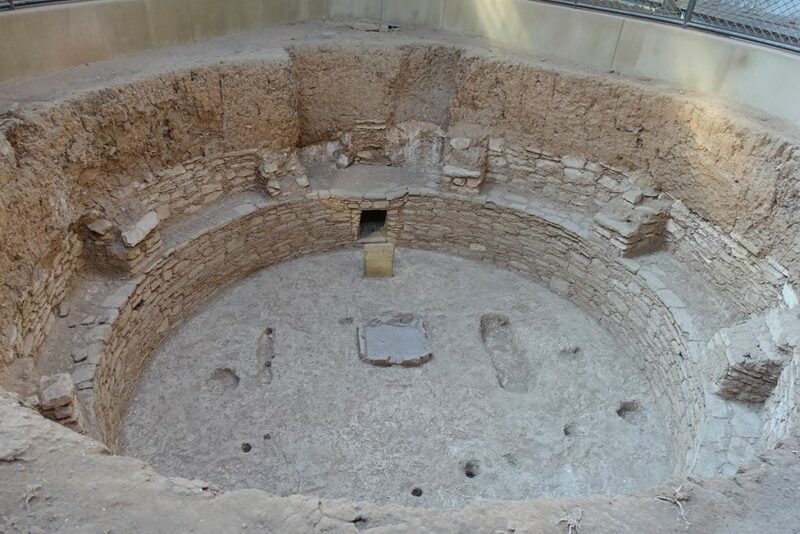 On the mesas, we visited pit houses and pueblos that were built by the people who lived in this region between the sixth and thirteenth centuries. 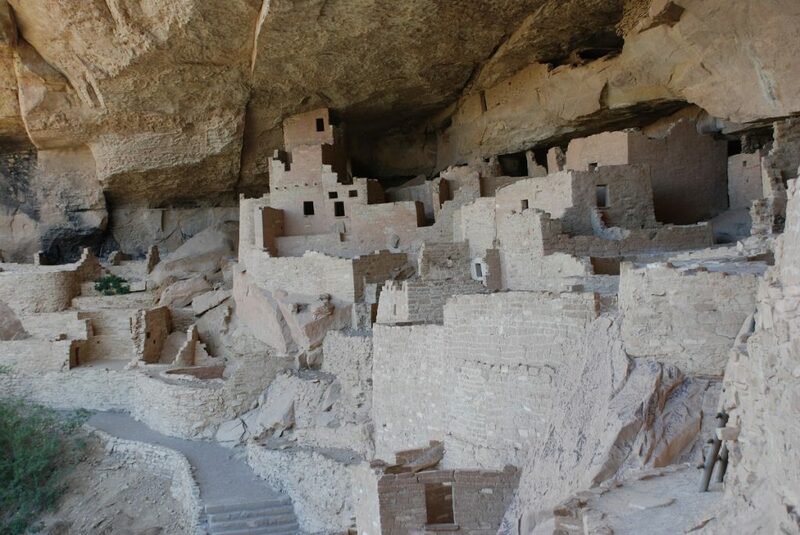 We also participated in tours that entered into a couple of the cliff dwellings that were built during the twelfth to the end of the thirteenth centuries. On our last morning, we searched for petroglyphs. The people who once resided in the pit houses and pueblos on top of the mesa had incredible views of the surrounding countryside. 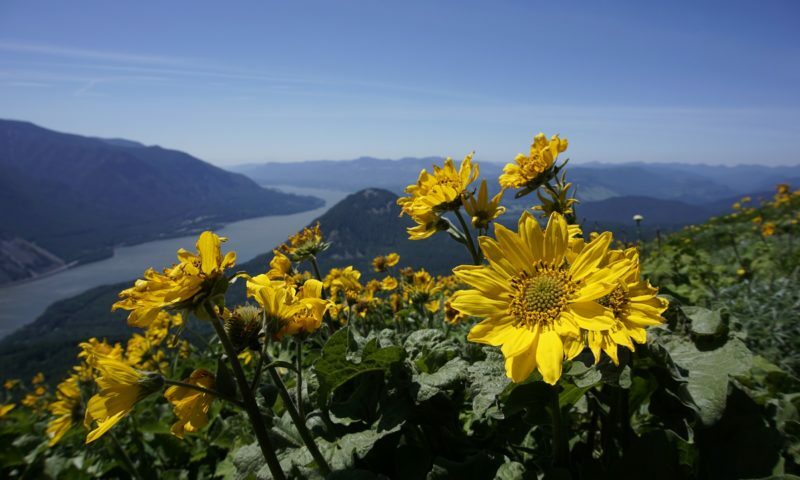 Without any modern conveniences, they survived by utilizing natural resources and adapting to the conditions. The broadleaf yucca plant is a perfect example. The Ancestral Pueblos used the plant’s roots and leaves to make soap, shampoo, twine, rope, baskets, mats, sandals and for medicinal purposes. The fruit was eaten raw and also made into jam. On the Chapin Mesa, we visited the Cliff Palace. At the entrance, we squinted at the black and white faded photo that illustrated that little has changed since the dwellings were discovered by Richard Wetheril and his brother-in-law Charlie Mason in the late 19th century. However, our large tour group used stairs and ladders to navigate through the dwellings. It was considerably more treacherous for the original inhabitants who used hand and toeholds and yucca fiber rope to climb up and down the tiered dwelling, set into the rocky cliffs in this remote arid environment. Our National Park Service ranger discussed the lifestyle and construction of Cliff Palace, as we walked from one section to the next. We only entered a small percentage of the 150 rooms that were once inhabited by approximately 100 people. Some of the stonewalls demonstrated meticulous craftsmanship while others reflected only rudimentary skills. In the afternoon, we drove about 20 minutes to the Wetherill Mesa, for our prearranged 90-minute tour of the Long House, the largest cliff dwelling at Wetherill Mesa. Deep canyons and indentations in the sandstone cliffs surround this mesa. Unlike the morning tour with dozens of people, we had a more manageable group of eight as we hiked toward the Long House. A mix of wildflowers, cactus, small shrubs, and dead trees lined the pathway. Eventually, we reached irregular stone steps and a series of switchbacks as we headed down into the rugged canyon filled with denser vegetation. Even though I knew what lay ahead of us, it felt like a special treat when the Long House came into sight. 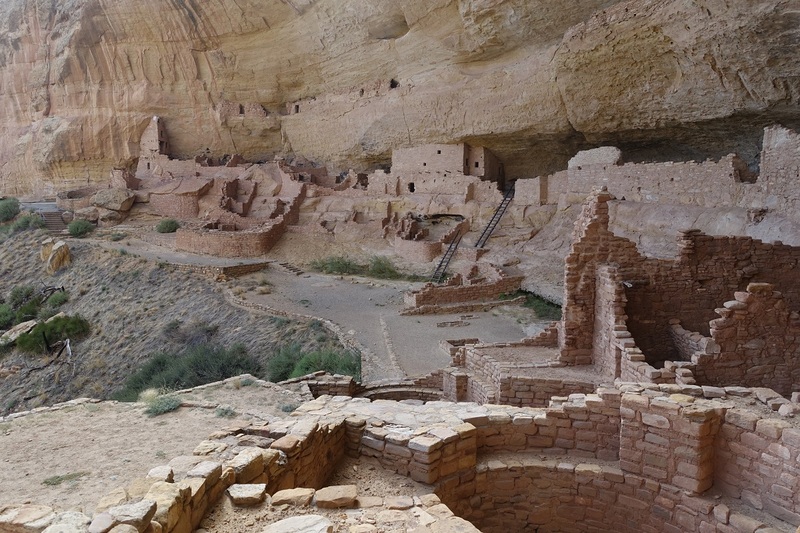 The tiered dwellings with 150 rooms, 21 kivas, and a large plaza, or great kiva, fit perfectly into the canyon and complimented the surrounding terrain. As we walked closer, I admired the exceptional location for a people who appreciated Mother Nature. With less people, it was easier to tour the dwellings and take photos. Near the back edge of the structure, dark green moss clung to the ground and part of the wall. An underground spring was a surprise in this arid environment. Toward the end of our time in the Long House, our small group gathered in the oversized plaza area and looked out toward the spectacular canyon. In unison, we yelled out a word and then heard our voices reverberate through the canyon. On our last morning, we waited patiently for the park ranger to open the gate for the petroglyph trail as turkey vultures soared overhead and three others sat on a nearby branch. The shade from the trees and the canyon walls maintained a moderate temperature as we traversed along the well-marked path that was consumed with oversized roots and large, irregular sized boulders. 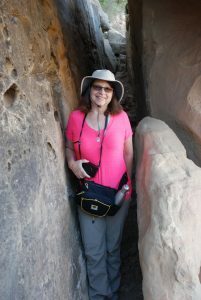 I squeezed through extremely narrow passageways as I admired the rocky formations streaked with different colors. 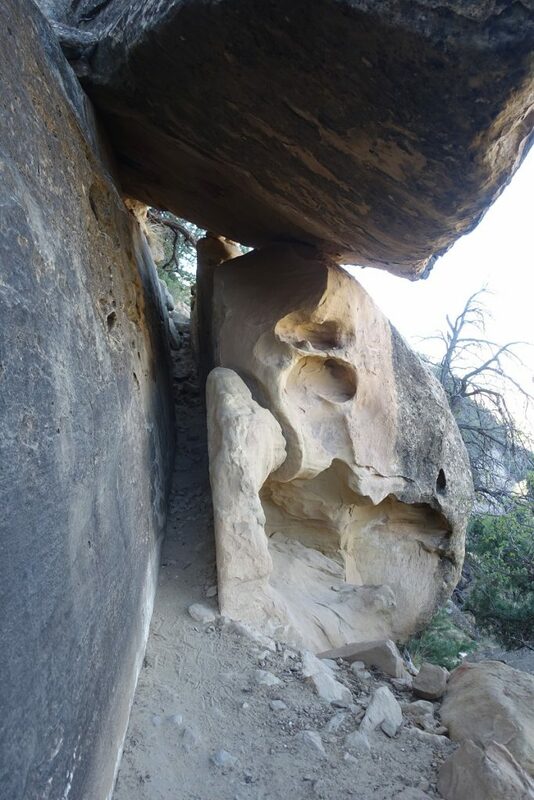 Erosion had also created large overhangs, inlets and holes into the sandstone canyon walls, and toppled boulders sat precariously upon one another. When the canyon was visible, I saw walls of layered rock with dark green vegetation. Indigenous plants and trees were in abundance. Ancestral Pueblos had used many of these species for their day-to-day survival. About halfway through our journey, we saw another reminder of this ancient people’s presence carved into a large rock wall. 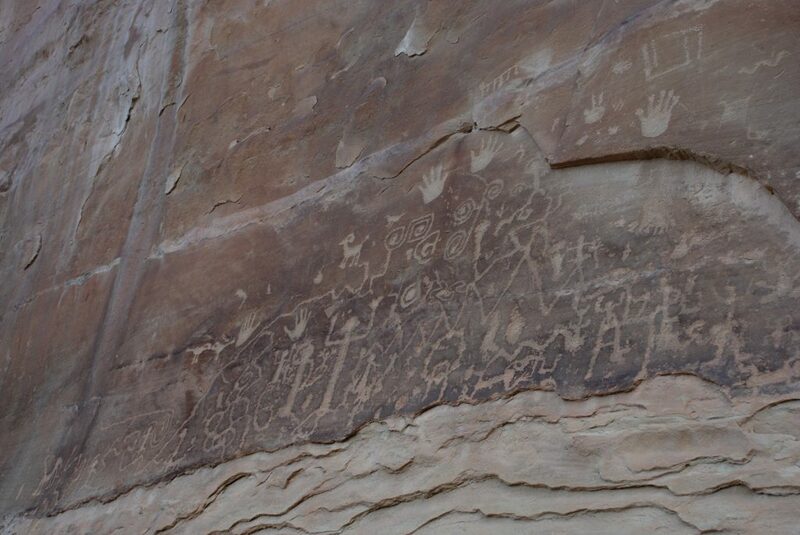 Hundreds of years later, I stared at the petroglyphs wondering about their meaning. Modern Hopis have attempted to interpret their meaning, but without a written language no one knows for sure the exact meaning of these symbols. Shortly after admiring the petroglyphs, I was forced to climb up to the top of the mesa. Fortunately, toeholds chiseled into the rock assisted my short legs. The remainder of the trek was on level ground through partially wooded and some open areas. The bright sunshine hit us head on as we completed our morning adventure. Decades after my first visit, many questions remain unanswered. Perhaps, some time in the future scientists will gain a more complete understanding as to why the Ancestral Pueblos chose to migrate to New Mexico and Arizona. For now, I accept one of our guide’s explanations: It simply was time to go. 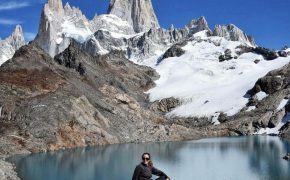 Disclaimer: Sandy Bornstein received a complimentary two-night stay at the Far View Lodge and a 700 Years Tour. All opinions expressed in this post are her own.